154 Hidden Court: Introverted parents, extroverted kids. Sometimes I think my introversion might go just a TAD past the normal realm and fall into the "social anxiety" category, but that's probably a conversation to have with my therapist. Oh wait. I don't have a therapist since she dumped me because I'm apparently so "stable." Whatever... Anyway, what being an introvert looks like for me is that I like being alone, groups of people and unfamiliar situations make me anxious, I recharge my internal batteries by having time to myself, talking to people, although often fun and meaningful to me is EXHAUSTING, and I sometimes seem aloof and unfriendly, when really I'm just awkward and bad at small talk. I've always been this way, I assume I always will be this way, and it never really occurred to me that I would need to change for anything or anyone. My hubby, though definitely an extrovert himself, totally gets me and takes constant steps to make sure my introverted nature is protected. And along with all the other things nobody tells you about having kids, like how your bathroom will never be truly clean again or how a trip to the grocery alone will seem like a vacation, nobody ever, ever, ever tells you just how... social raising kids is. Especially when one of your kids is a complete, total, unmitigated, extrovert. Although the jury's still out on Cooper, Zachary thrives in the company of others. He's not particularly picky about who or when or where. He just NEEDS interaction. And y'all? It's HARD on this Mama, who would prefer a root canal to awkward small talk any day of the week and twice on Tuesdays. But we're figuring it out. And by "we" I definitely mean that Zachary, at seven-going-on-seventeen, is old enough and empathetic enough to understand that people are different and that they need different things to be happy. It's been trial and error - more error on my part, probably, but we have come up with a few things that work for us. It's ok to know your limits, and to honor them. Like I said before, Zachary is old enough and smart enough to know that I don't dig crowds and being constantly on the go and such the same way he does. I try to keep a pretty open communication going with him about what's good for all of us, and I don't hesitate to let him know that I need a break from him (and from constant interaction) sometimes. I might say to him, "we were busy all day yesterday so today I'd like to have a quieter day, ok?" or "since your friends were here yesterday we won't do any visiting today," or even "yes, we can go to this event/party/whatever but we will only be able to stay two hours." We're a family; compromise isn't just a good idea, it's a necessity. It's important that you teach your extroverted children to spend time alone. But... and it's a big but, it's also imperative that you realize that your idea of alone time isn't going to be the same as his. For me, the perfect alone time is spent in absolute solitary silence. For Zack, alone time might be spent crashing around his room pretending to save the word or running outside sword fighting with trees. It's really hard for me to not want to impose my ideals on him about what his alone time should look like, but it's something that he needs to figure out for himself. He has to be comfortable with himself and by himself and it's not up to me to decide what that should be like for him. Find a happy place or activity that your whole family can get totally behind. Recently the boys and I discovered a local nature preserve that has miles and miles of trails and streams. We have been going nearly every weekend, because it appeals to their need to explore as well as my need to be outside among trees and green things and sunshine. While we were exploring recently, I realized that as invigorating as it was for them, it was nothing more than peaceful for me. We were having exactly the same experience but we were all getting really different things out of it. The important thing though? It appealed to us all on an equal (although very different) level. Find something like that for your family, too, and use it as your fallback for days when activity is a must for your kids but high levels of interaction are not on your agenda. Your happy place might be something outside like this or it might be something totally different, but figure out what it is. Since I first realized that there were huge differences in how Zachary and I thrive, I've been able to help him put words to how he's feeling. Now I don't get the "MAMA! I'M SO BORED!" very often. Now it's more like "Hey, Mama. Do we have anything planned for today?" which makes it much easier for me to figure out if it really is just some boredom on his part (which I'm totally ok with, by the way. I think kids need a chance to get bored sometimes) or if his inner extrovert needs a little care and attention. Either way, these things have helped me. 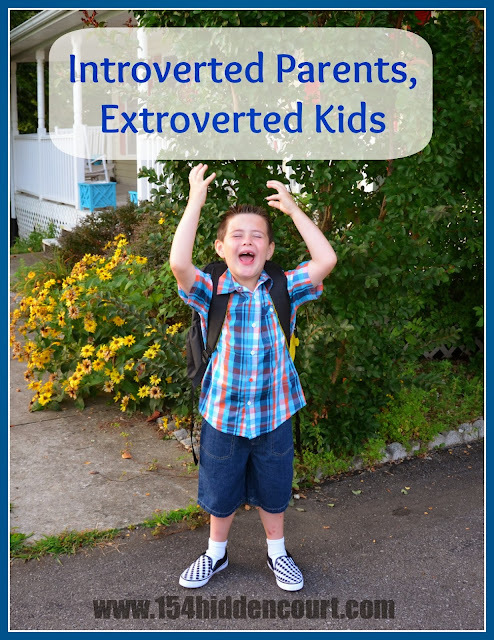 Are you an introvert raising an extroverted kid? How do you deal with it? What great tips. My brother is an extrovert and I'm an introvert. My parents didn't set limits - it was the 80s. I'd complain that he was bothering me and my mom always took his side. (He had a twin who died when they were babies and since he was never alone in utero, he couldn't possibly be expected to learn to entertain himself at the age of 10.) Now he's married with 3 roommates. That sounds like a whole lot of togetherness with your brother. I'm pretty sure that would have caused me to be a runaway. 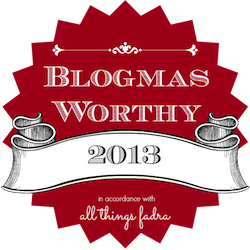 Is it just me or does it seem like a really, really high number of bloggers are introverts? Someone should do a study. Yeah, two days of friends back to back is a huge drain. Of course, sometimes one day is a huge drain too :) It's fall break here right now and I'm kind of longing for Monday to come. Is that terrible? Yeah, it probably is. My hubby is a strong extrovert, too, and since we have gotten it (mostly) figured out it's really wonderful to have an extrovert in my corner, so to speak. He protects me from a lot of the things he knows I hate, like talking on the phone to schedule appointments and such. It took us a REALLY long time to get here though.